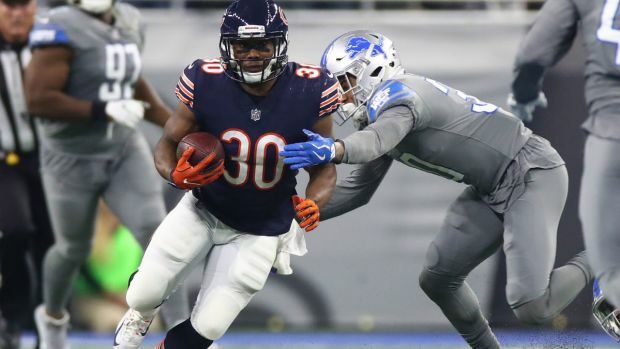 After playing one of their best games of the season, the Chicago Bears couldn’t get out of their own way as they lost 20-10 to the Detroit Lions at Ford Field. The loss dropped John Fox’s record against the NFC North to 3-14 during his tenure, and it kept the Bears in position to lose every divisional game this season. Plenty will be said and written about the game over the next few days, and we’ll kick off our coverage with the winners and losers from the game. Ever since Houston was claimed on waivers by the Bears, he has been taking out his frustration on opposing offenses, racking up four sacks and seven total tackles over the last three games. Two of those sacks came against a depleted Lions’ offensive line on Saturday, and Houston was all over the field throughout the contest. The speed that he showed at times during his first stint with the Bears was on full display, and he showed off some incredible moves at the line as well as he played yet another strong game. The Bears’ wide receivers have been lackluster all season long, but Wright once again was Mitchell Trubisky’s favorite target throughout this game. He ended up with seven receptions for 81 yards, and although he racked up plenty of numbers after the game was out of hand, his ability to get open and make plays helped Trubisky move the offense down the field in the second half. In the Bears’ last two games, Wright has 17 catches for 188 yards, serving as Trubisky’s main target with Adam Shaheen out of the lineup. Trubisky’s accuracy has been one of his calling cards even as he’s failed to put up superstar-type numbers for the Bears, but that abandoned him badly in key situations on Saturday as he threw three interceptions, including two to Detroit cornerback Darius Slay. Trubisky’s mechanics have been questioned at times this season, but the big issue for him on Saturday was that he couldn’t seem to stop throwing into tight coverage and over his receivers. His interception into the end zone was thrown into double coverage, with a safety ambushing the throw. He overthrew the ball on two other picks, including one that evaded Daniel Brown and ended up in Slay’s hands. Each game is a learning experience for Trubisky, and he’ll need to watch tape and make sure that he isn’t staring down receivers or making mechanical mistakes when he drops back. After showing off some skill in the Bears’ win over Cincinnati, their secondary regressed badly as they gave up some big plays to Matthew Stafford and company. On one particular third and long play, Eddie Jackson failed to high-point a jump ball lofted up by Stafford, and as a result Marvin Jones Jr. went up and grabbed it, beating the rookie safety with ease. Eric Ebron also had a jump ball catch in the end zone, beating Danny Trevathan without safety help over the top. 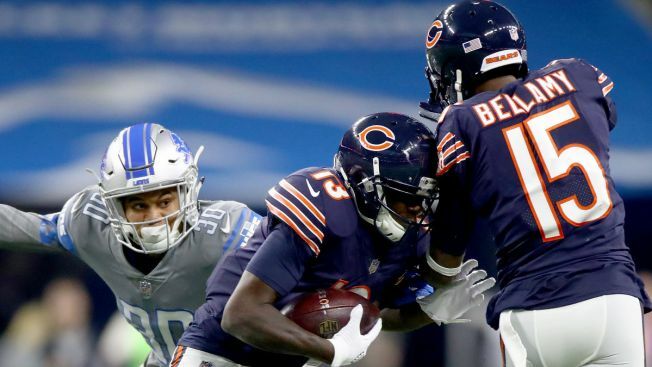 The Bears’ secondary has to do a better job of targeting the football when it’s in the air, and their struggles were a big part of the reason why the Lions were able to move the ball with ease. There’s no way to sugarcoat this: the Bears committed some really bad penalties on Saturday, and they were routinely very costly. The Lions ended up accepting 13 penalties for 97 yards against the Bears, and they got four first downs by virtue of Chicago penalties. Even on the Bears’ fourth quarter scoring drive, they still couldn’t stop shooting themselves in the foot. They committed two penalties in a row to start the drive, and then committed two more as the drive proceeded. That inability to stay disciplined ended up costing the Bears a lot of time, and even though they scored a touchdown, they basically threw away any chance they had of getting another drive.